WASHINGTON — Former U.S. Rep. John Dingell of Dearborn is now in hospice care after a cancer diagnosis, according to his wife, U.S. Rep. Debbie Dingell (D-Dearborn). 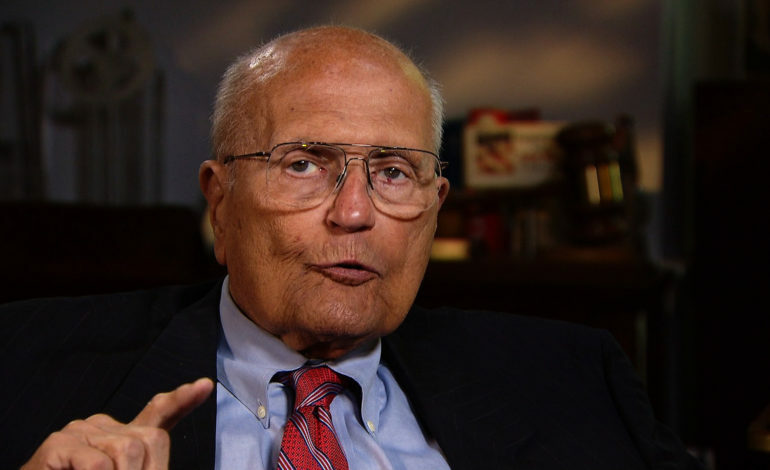 John Dingell, 92, who served his Dearborn and downriver constituencies for more than 60 years, was diagnosed with prostate cancer a year ago. The cancer has metastasized and he has decided not to treat it, a family member said according to the Detroit News. Rep. Dingell said her husband is in fairly good spirits and helped to dictate a tweet on Wednesday in response to President Trump’s State of the Union address, the News report said. On Wednesday she took to social media to share news about her husband of almost 40 years, having stayed home from Tuesday’s State of the Union address to be by his side. “Friends and colleagues know me and know I would be in Washington right now unless something was up,” she wrote Wednesday morning on Facebook. “I am home with John and we have entered a new phase. “He is my love and we have been a team for nearly 40 years,” she added. “I will be taking each day as it comes. We thank people for their friendship and support and ask for prayers and privacy during this difficult time. John Dingell retired in early 2015 as the longest-serving member of Congress. He published a book titled “The Dean: The Best Seat in the House” in January 2018, which details his time as one of the most powerful and influential chairmen in Congress. The John D. Dingell Transit Center in Dearborn is named after him. Rep. Dingell has requested prayers and privacy as the family continues to spend time her husband. On Twitter, former colleagues and well-wishers reacted to the news. “Our love and prayers are with you and John,” said Senator Debbie Stabenow. “Sending our love and prayers to you and @JohnDingell both,” former gubernatorial candidate Abdul El-Sayed said.